Coming from a galaxy far, far away is the Official STAR WARS Combo Rental w/ pool. 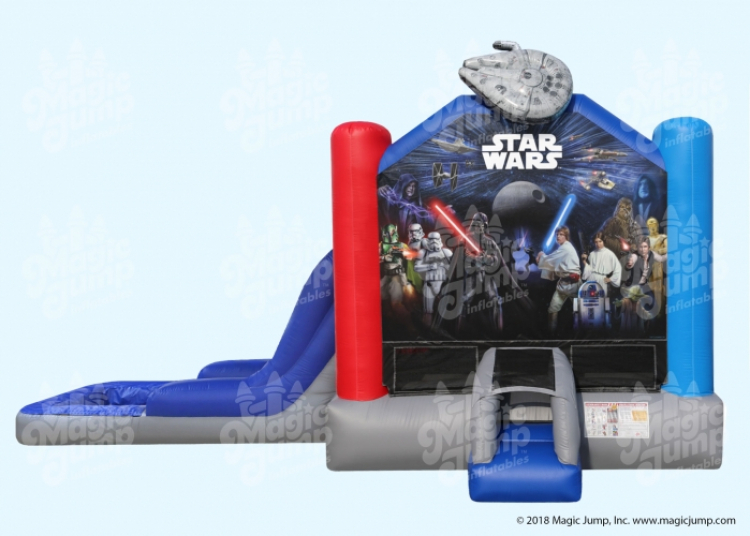 Let up Jedi Knights bounce and cool off at the same time, play basketball, or climb and slide into the pool for a feel of a water park at the convenience of your own home. The STAR WARS combo is designed with fully licensed digital artwork and a unique Millennium Falcon embellishment up top. It is an epic ride that is suitable for all occasions.